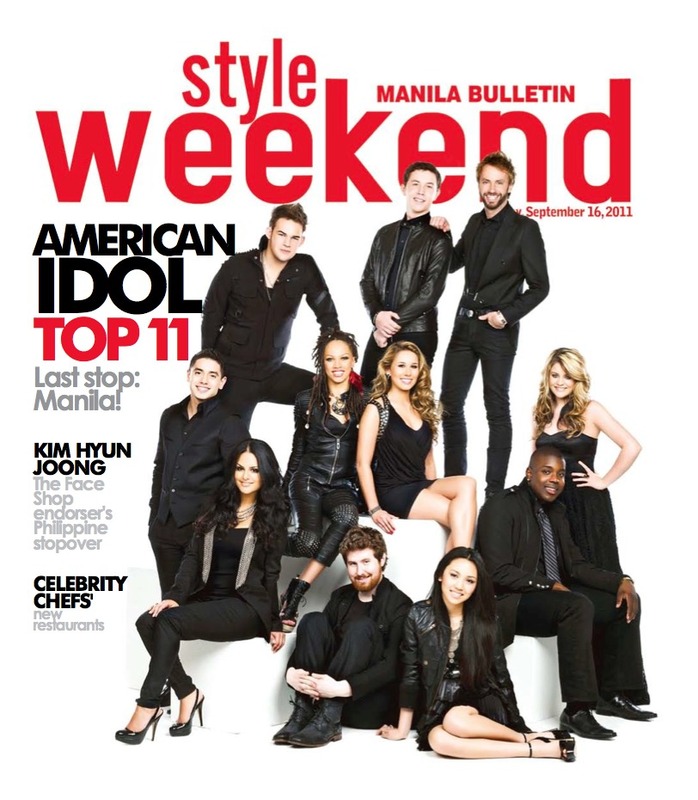 pls buy manila bulletin today (sep 16) for your free copy of style weekend! on the cover: ladies and gentlemen, your top 11! the american idols cap their tour in manila, their one and only stop outside north america! also in this issue: kim hyun joong in manila, vania romoff's mon-sun style, celebrity chefs' new restos, and more!